IF AN AMAZING SEASON OF NEW WORKS DEVELOPED IN-HOUSE WASN’T ENOUGH… WELCOME TO T1 PRESENTS! As promised, TheatreFIRST is shifting Live Oak Theater to a curated storyhouse. Our mainstage season is about to get some company with our Monday night programming. In his third collaboration with director David Dower, Josh Kornbluth returns to the stage with Citizen Josh, another hilarious and poignant piece in which he completes his final requirement for an undergraduate degree by writing a monologue about the role of civility in public debate. Just in time for election season, Citizen Josh ruminates on American Democracy, weaving a web of smart, funny and moving autobiographical tales into a personal quest to engage the fundamentals of democracy. OPENING NIGHT OF BAGYÓ: SOLD OUT! Our season begins with Bagyó, a startling vision of the culture and war in Southeast Asia. A daughter left adrift her father’s choices on an island where everything is a mirage. As clues about her origin emerge, she questions her own history and sets off on a quest that will both reveal her past, as well as what awaits for her in the future. Inspired by Shakespeare’s The Tempest, Bagyó (Tagalog for storm) explores the power of myth, the bravery of personal discovery, and the puzzle of belonging. 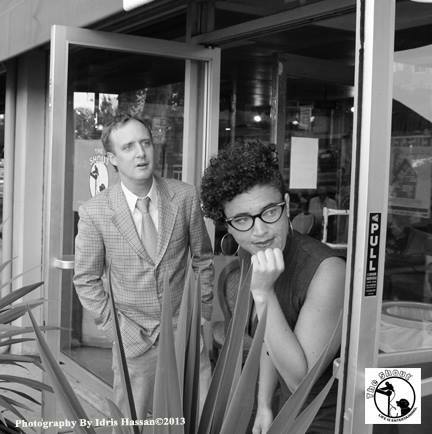 Runs Thursday – Saturdays, 8pm. Sundays, 2pm. 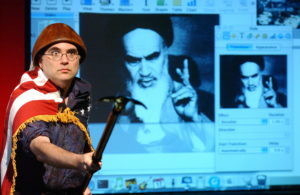 Tickets available through our website: theatrefirst.com and at the door. The SHOUT is a monthly event featuring invited storytellers telling amazing but true 10-minute stories from their lives. Audience members can put their name in the hat in hopes of being picked for one of our 5-minute wild-card slots. It’s like a great party in your living room, only there is a microphone and someone else cleans up! Visit theshoutstorytelling.com for more information/details. Misner & Smith’s combination of vocal blend, lyrical potency, and diverse songwriting make this duo one of the most unique and loved Northern Californian bands on the scene today. With two singers who could easily lead a band on their own, the duo produces a sound that is one voice. This isn’t just harmony singing. This is vocal art. The award-winning original songs range from folk to rock to Americana to bluegrass, but essentially are something all their own, defined by the stories that each song tells. For this special show, Misner & Smith will be joined onstage by the multi-talented, multi-instrumentalist, Josh Yenne on both pedal steel and electric guitars. The chemistry of this trio has been lighting up stages from the Kate Wolf Music Festival to Berkeley’s own Freight & Salvage and many places in between for several years now. 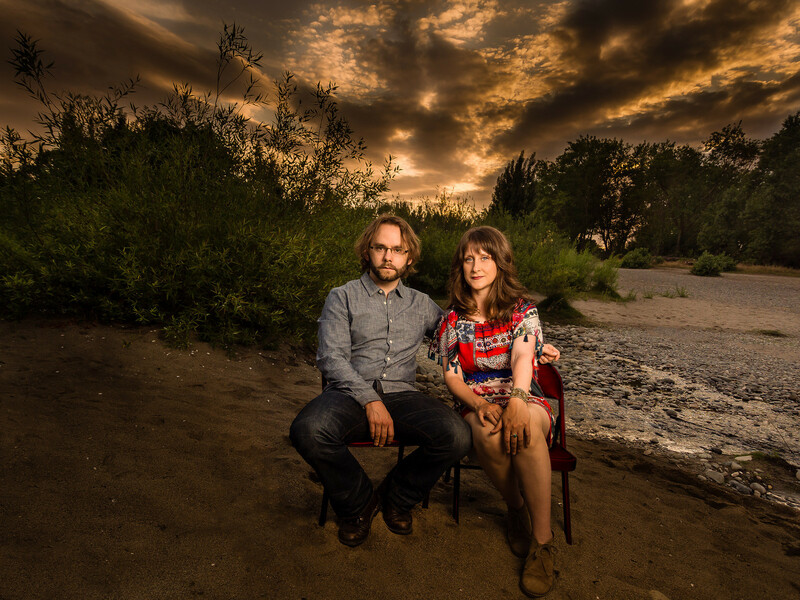 Storytelling is at the heart of this pair’s music. Both Sam and Megan began their performance careers as stage actors and still maintain a presence in the professional american theatre circuit. Most recently Sam appeared in the California Shakespeare Theater production of King Lear, and before that Megan and Sam played opposite each other in Gina Gionfriddo’s piece, Rapture, Blister, Burn at Capital Stage. They composed music for and acted in Sacramento Theater Compay’s production of The Grapes of Wrath, and are currently in rehearsals as Atticus and Jean Louise in the company’s production of To Kill A Mockingbird running through October 2016. We’re proud (and sad) to say that The Island, our fundraiser reading starring Danny Glover, Carl Lumbly and directed by Delroy Lindo is sold out. Please do check with us at boxoffice@theatrefirst.com if you would like to be put on the waiting list. Also look out this month for e-blasts announcing Sunday Master Classes, as well as BLANKSPACE — where TheatreFIRST opens it’s doors for artists to develop work, free of charge. A dialogue in letters between two great 19th-century French novelists — George Sand and Gustave Flaubert — Dear Master reveals the fears, desires, heated opinions and unlikely friendship of these famed intellectuals during an era marked by violence and political polarization. 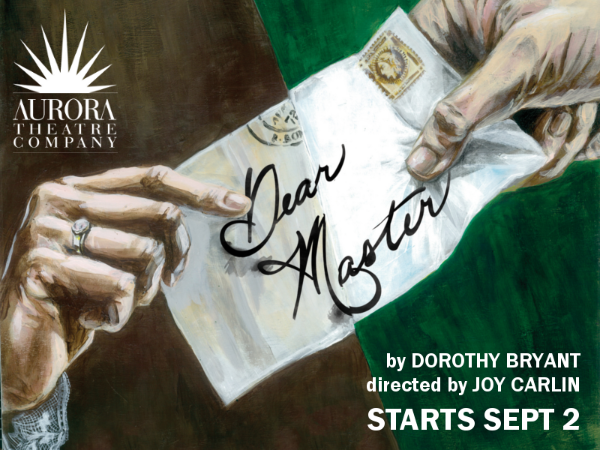 Written by Berkeley author Dorothy Bryant, Dear Master premiered at the Berkeley City Club in 1991, and is the flagship play on which Aurora Theatre Company was built. TheatreFIRST patrons receive $10 off tickets with the code FIRSTDM10.